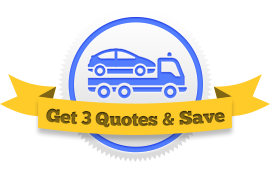 An essential step for any new tow truck business is obtaining insurance coverage. But before you get started talking to an agent, you should know certain things that can help you get the best insurance for the most affordable price. You can insure almost anything. What we cover here are the essential insurance coverages that tow truck business owners should look at. General Liability Insurance – This type of insurance is common to all business owners and is used to protect against lawsuits. If a customer or a client is harmed on your premesis, you could be held responsible. GL insures you against that. Tow Truck Liability Insurance – Like personal auto insurance, truck liability insurance protects you in the case of an accident. If you or one of your drivers is responsible for an accident, the insurance company will pay for any related repairs or expenses of the hurt party. Physical Damage Insurance – Should your or one of your drivers get into an accident—regardless of fault—this insurance pays for related repairs. Garagekeeper’s Insurance – Other people’s vehicles are your responsibility while they’re being held on your property. This insurance protects you if the vehicles of others are damaged while under your care. On Hook Insurance – This coverage takes effect when the vehicles of others are damaged while attached to one of your tow trucks. Cargo Insurance – Like on-hook insurance and garagekeeper’s insurance, this coverage protects others’ property. However, cargo insurance only covers possessions inside the vehicle, like purses or electronics. Worker’s Compensation – This business insurance protects your company if one of your workers is hurt on the job. It will pay for medical expenses and paid leave. The types of tow trucks you use. Insurance companies offer plans to suit your business. There are month-to-month payment options as well as quarterly and yearly plans. Generally speaking, insurance companies will give tow truck businesses discounts if they choose to pay in quarterly or yearly installments. There are a lot of insurance companies out there, big and small, reliable and unreliable. The best way to decide if you can trust a prospective company is to look at the company’s rating on Moody’s or A.M. Best. These two credit auditing organizations independently determine the stability of insurance providers. Some insurance providers charge cancelation fees without informing you beforehand. Some providers don’t pay for original equipment manufacturer parts when you need a repair, sticking you with lower-quality parts. Some providers don’t offer combined deductibles, which means that after an accident you could pay deductibles for each of your individual policies. Another priority you should concern yourself with is cost. How can you find the best insurance coverages at the best price? The easiest way is simply to look at a wide swath of insurance providers. You can do that by using our quote service, which gets you in touch with three different insurance agents at once, who will give you three competing offers.